It was just under two years ago that we brought you our exclusive report on the prototype Magic Girl game from Zidware when it was brought to the NW Pinball and Arcade Show in Tacoma, Washington. An awful lot has happened in the time since then. 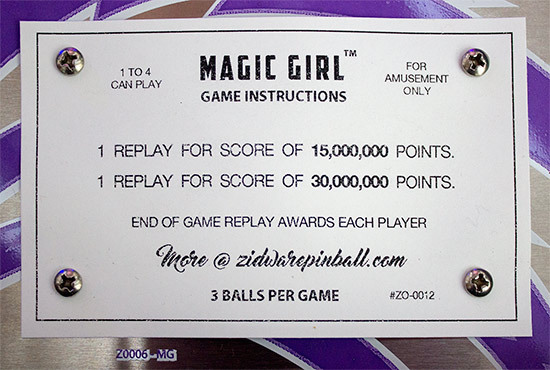 A rescue plan to get the game made came and went, legal action was started in an attempt to recover the funds for buyers of Magic Girl, Retro Atomic Zombieland Adventure and Alice in Wonderland, and Zidware seemed destined for bankruptcy, either voluntary or involuntary. 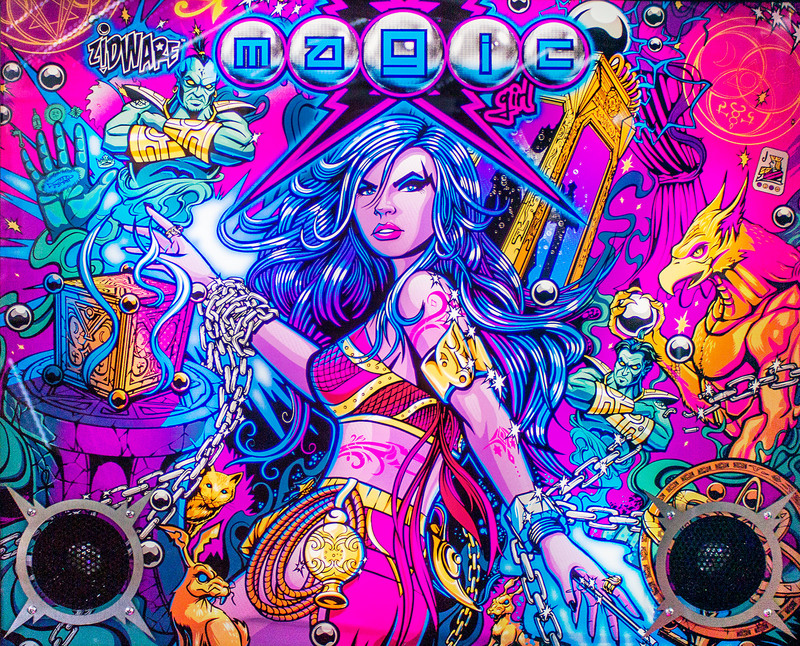 That legal action is still ongoing, but in the third quarter of 2016, a new company – American Pinball – announced that they would be building Magic Girl as contract manufacturers for Zidware. Incredulity turned to mere scepticism as pictures of cabinets appeared. 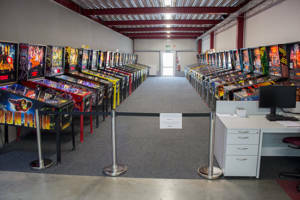 Pinball News toured the American Pinball facility and saw how the playfields were indeed being put together on a small production line. The 25 Magic Girl games were promised for pre-Christmas 2016 delivery, but that deadline was missed. However, John Popadiuk from Zidware contacted buyers to say delivery of their games would begin in March 2017. Although the release of machines has been patchy, a few have been either delivered or collected. 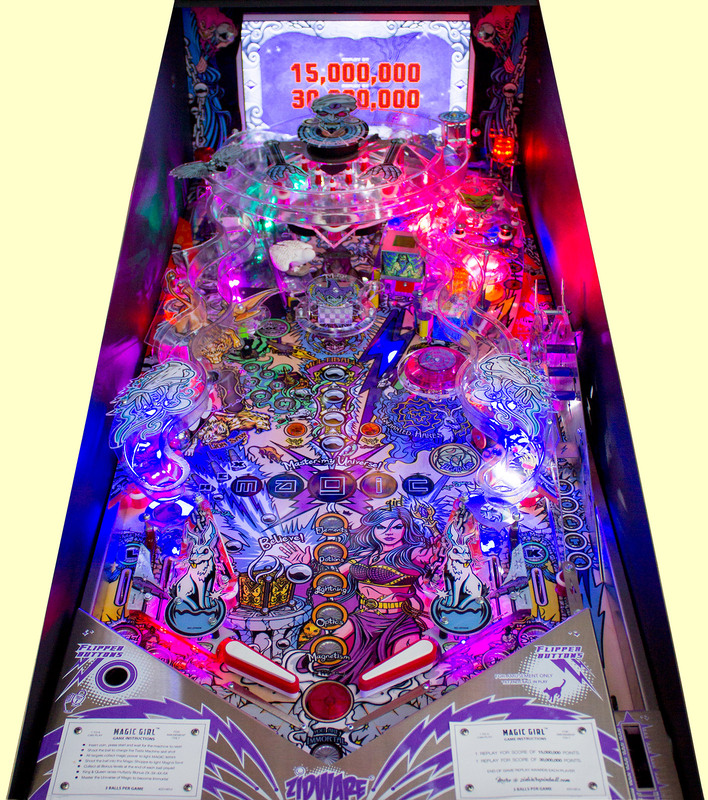 Pinball News got our hands on one of them to pull it apart and see how much of a game has been delivered. Our customary In-Depth Review of Magic Girl is coming, but these reviews take a long time to write and process all the pictures – we have more than a thousand pictures to work through! 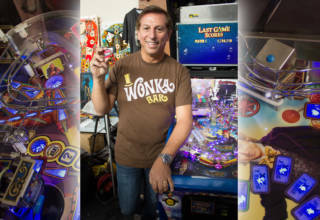 We also have a number of pinball shows over the next few weekends, and each of those need detailed reports. 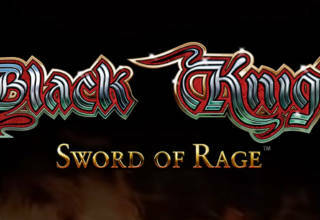 But we understand that interest in these games is high, so we are bringing you a First Look review, where we give you a sneak-peek at the game, from the cabinet artwork to the playfield. Naturally all our pictures are also available in high-resolution if you want to explore the details further and we have added a ten minute video of Magic Girl gameplay. 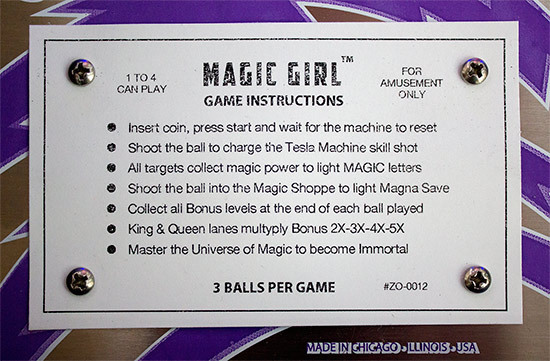 The granular detail will come in our full In-Depth Review, but in the meantime, we present our first look at Magic Girl from Zidware. Magic Girl is a standard-width game, but not much else is standard. 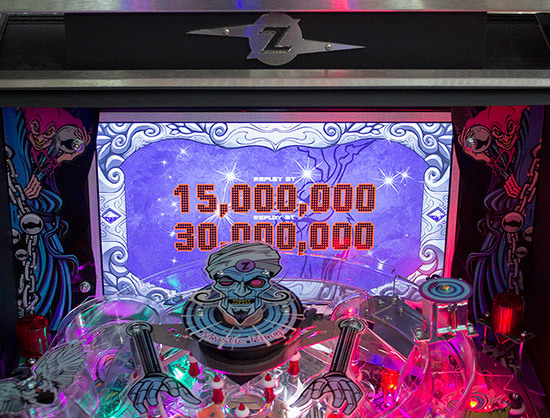 For a start, the playfield is longer than normal, and the playfield glass is also around 10cm (4 inches) longer than regular pinball glass – something which makes getting non-glare glass something of a problem. 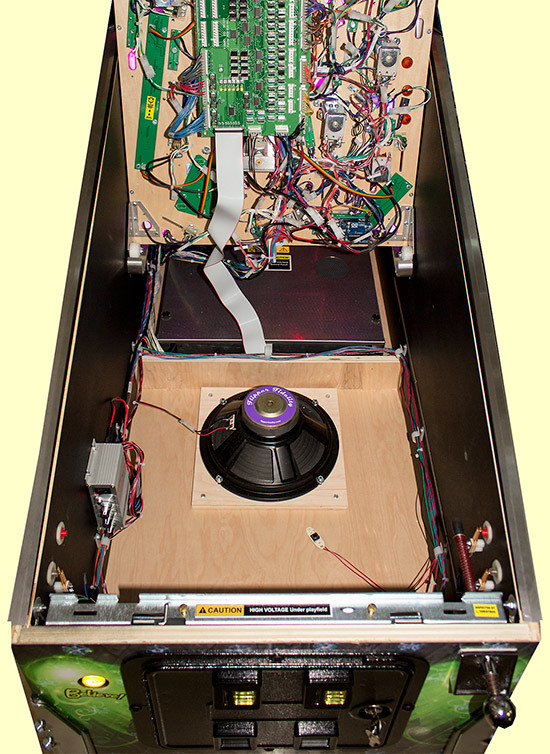 The cabinet and backbox designs are also custom. The backbox has angled bottom edges and bespoke hinges, while the cabinet is an unusual shape – much less tall at the front and much deeper at the back. 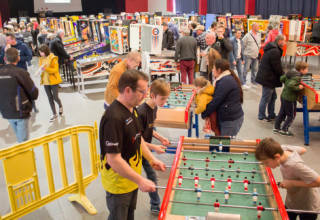 The score display is at the back of the playfield like Cirqus Voltaire, allowing the translite artwork to cover the whole backbox front with the minor exception of the backbox speaker mountings. The translite art is fantastically-detailed, with intense colours and rich purple hues dominating. 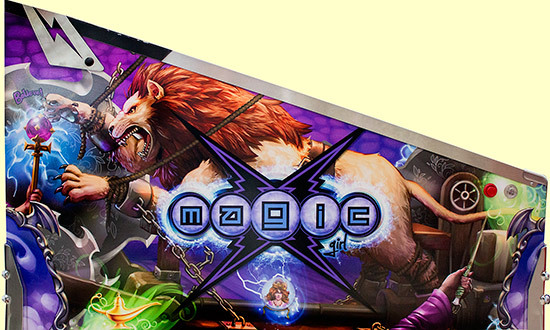 This design really sets the scene for what we will find on the playfield a little later. The cabinet art is somewhat different – equally interesting but using a different colour-set and exploring different aspects of the theme. 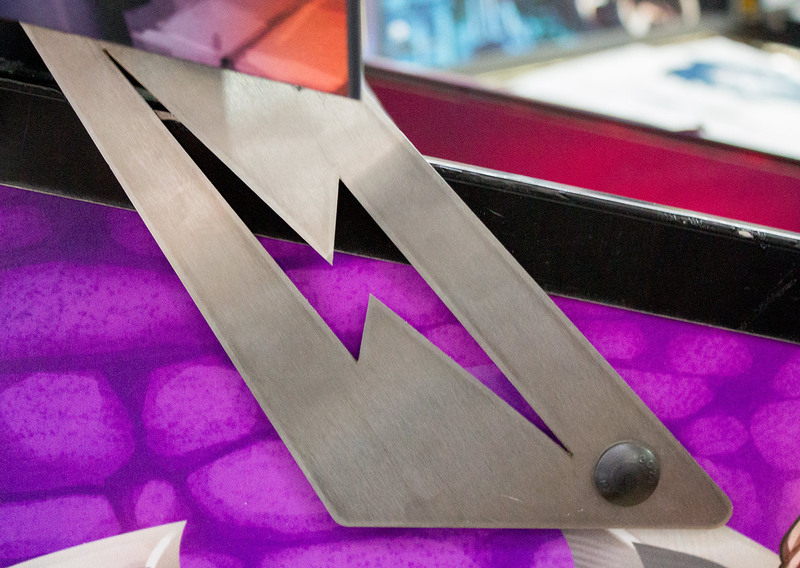 As we said, the backbox hinges are bespoke designs, featuring the trademark Zidware lightning bolt. While the custom design adds another layer to the look of the game, in this instance it was certainly a case of form over function, as this bracket on our review machine was bent in transit – the hinge’s rigidity no doubt being weakened by the large central cut-out. Round the back, the design also varies from the usual. Although it looks pretty conventional, the power switch is incorporated into the mains power inlet, making it trickier to depower. 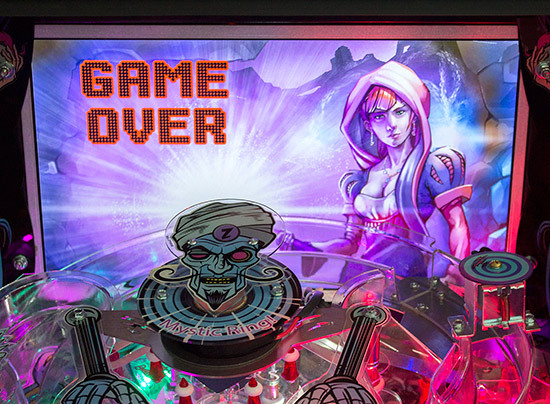 Several ventilation grilles are included but there are no details of the machine on the game sticker. The only identification comes in the form of a machine-specific plaque bearing the MGxxx game number. 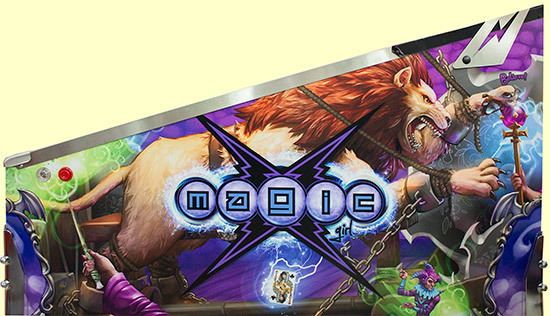 That’s our first look at the outside of Magic Girl. Under the (custom-size) glass we have the game’s playfield which we will examine in detail in our In-Depth Review. 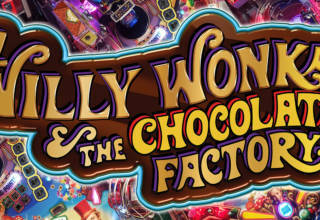 As you can see, it’s a packed playfield – packed with mechanisms, artwork and colours. There are shots, targets, LEDs and plastic pieces all over, with barely any part of the playfield periphery not turned into a scoring or feature opportunity. Several targets appear to be deliberately impossible to make and can only be hit by sheer chance. 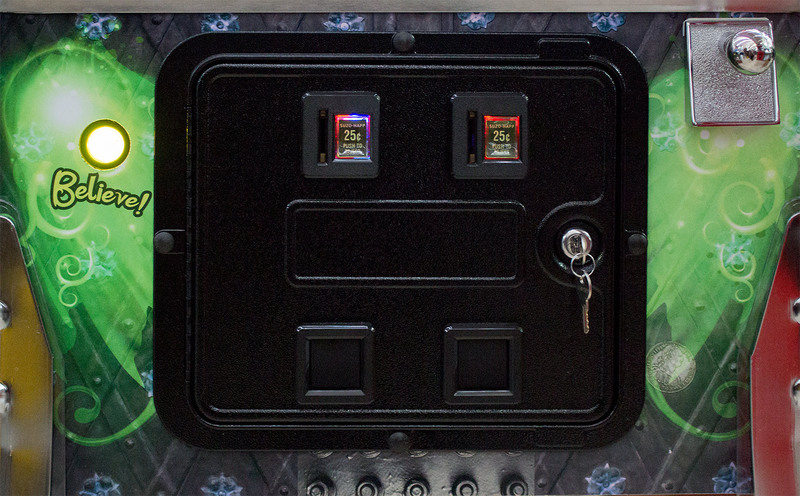 The game’s display is mounted on the inside back wall of the cabinet. 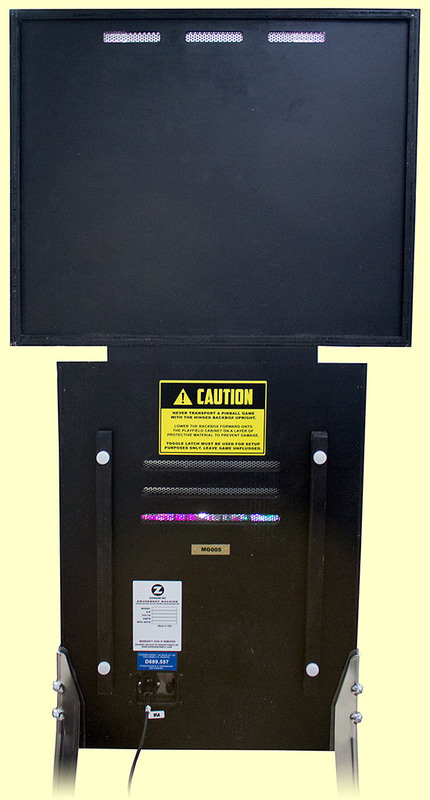 This results in part of it being obscured by the taller playfield features, but there’s no reason the information on the display cannot be crafted around the obstructions. 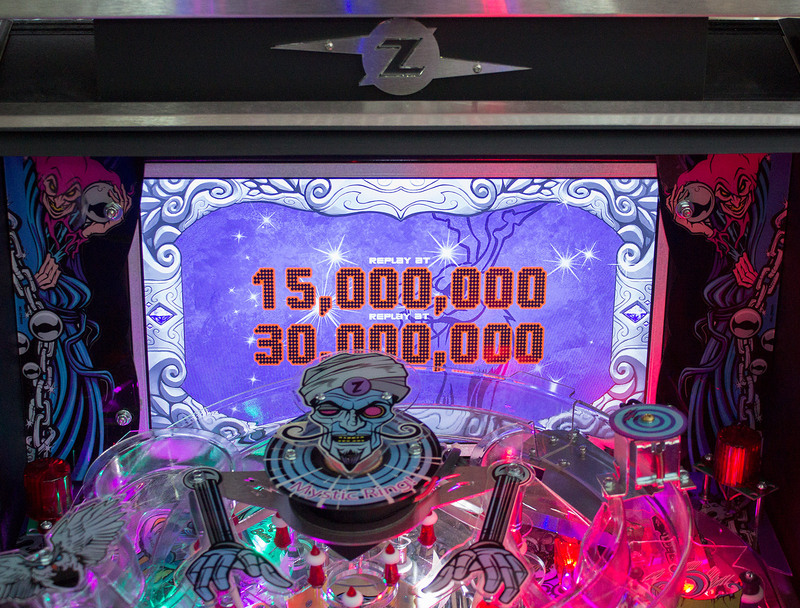 Despite being jammed with shots and targets, the game only has two regular flippers. 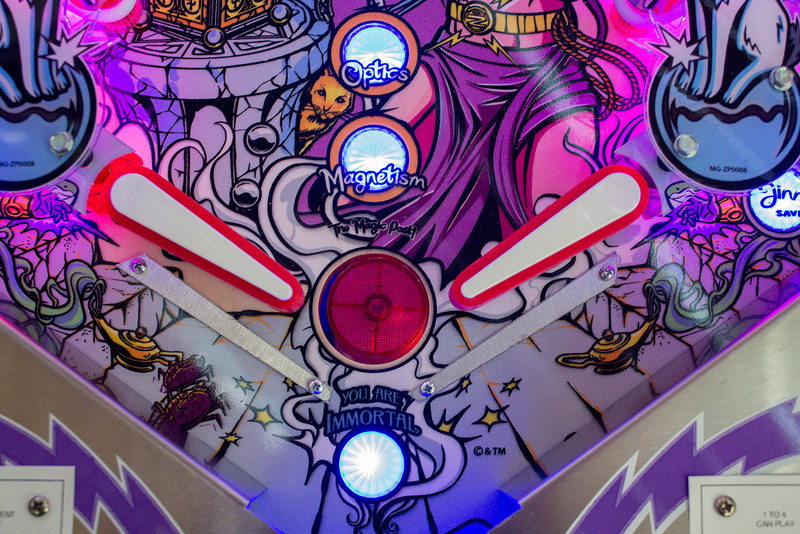 We say ‘regular’ flippers because there are also two Twilight Zone-style magnetic flippers on a mini-playfield mounted above and at the back of the main playfield. 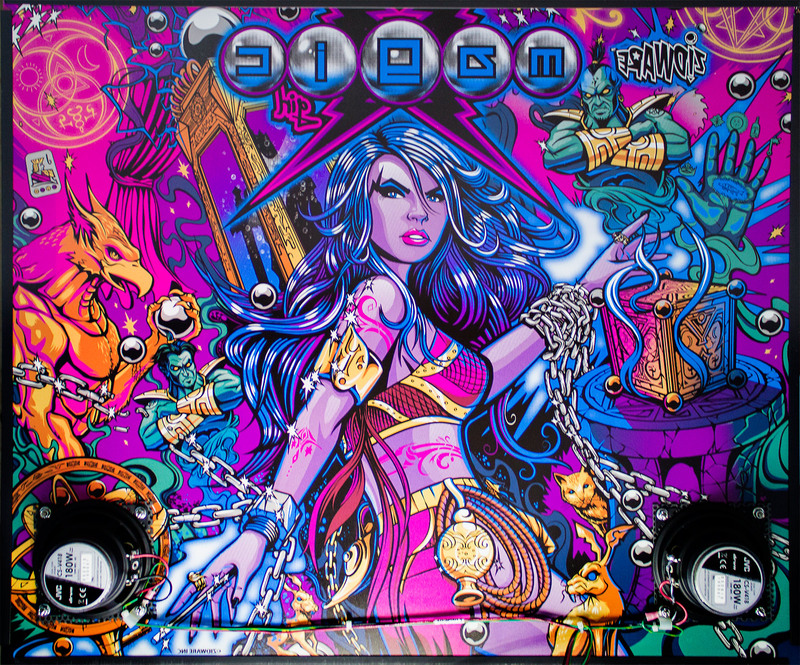 We will examine that along with all the other playfield mechanisms, lights and artwork in our full In-Depth Review. 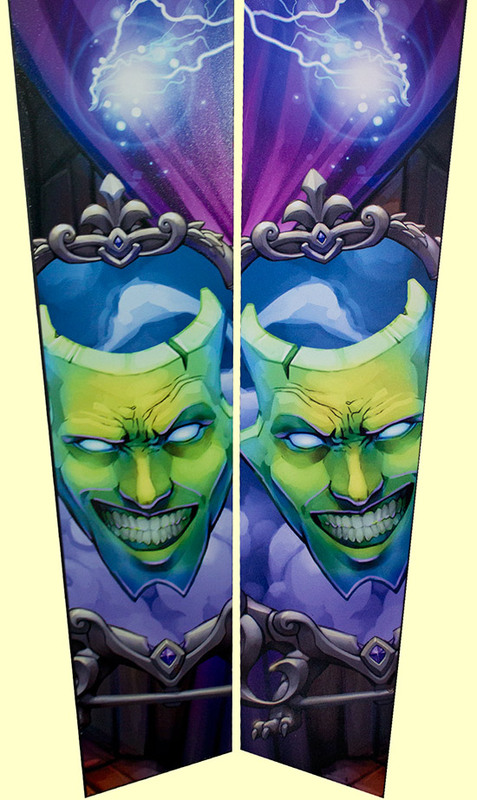 Until then we will leave you with two more sneak-peaks. The first is a look at the underside of the playfield. 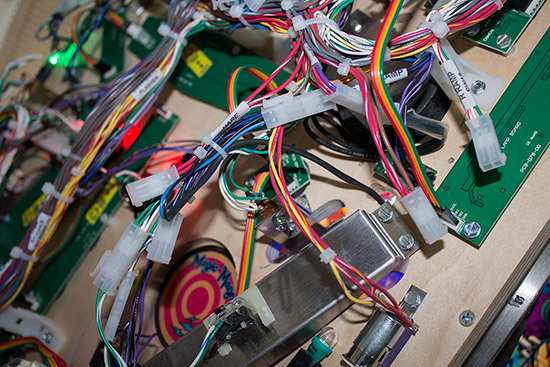 The main driver board is mounted under the playfield which keeps the interconnects with the solenoids, switches and LED boards short. LEDs are a mixture of custom boards for RGB lighting and sockets for single-colour devices. There is an Arduino board mounted at the bottom-right of the picture above to control the RGB LEDs. 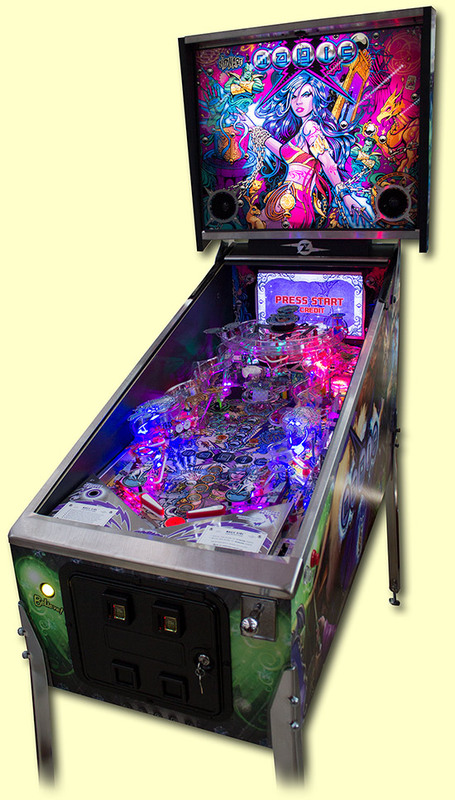 Although the bottom of the playfield appears to cram in as much as possible, there are actually many missing mechanisms and devices. In truth, Magic Girl is a long way from complete. 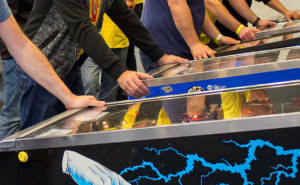 Whole sections of the playfield are inoperable because the mechanism which feeds them is missing or the code to control them isn’t written yet. The game’s control system appears quite mature and functional though. Apart from the boards mounted under the playfield, everything else lives in the base of the cabinet. The large metal box at the back contains the control system, and we will – quite literally – lift the lid on that in our In-Depth Review. 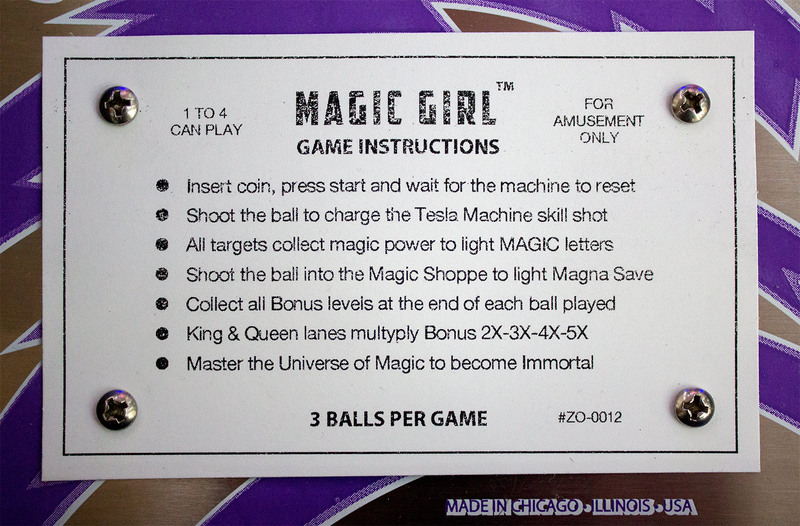 Until then, here’s a ten minute video of gameplay on Magic Girl. It was shot to demonstrate a number of things. 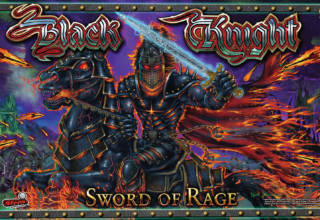 First, how well the lighting effects and artwork work together. Second, how the display animations look. Third, how the music and effects sound, and finally how the various shots work or don’t work. Together, these elements should give you a good idea how complete Magic Girl is as a game. 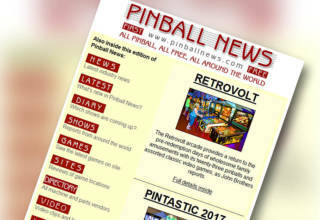 We’ll be back soon with the In-Depth Review, right here at Pinball News.